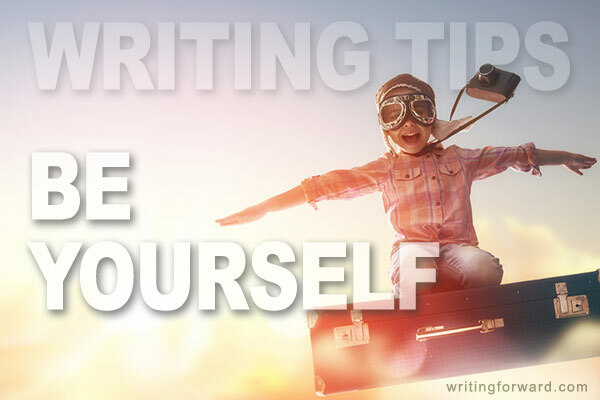 In life and in writing: be yourself. I’ve always had mixed feelings about any wisdom that says, “Be yourself.” I support and celebrate individuality and diversity, and I’m drawn to people who march to the beat of their own drums. But hidden within the message “be yourself,” I’ve always found a suggestion that a person needn’t make any effort toward self-improvement — that we should all behave according to our basest instincts without refining or civilizing ourselves, and I don’t think that’s good advice at all. I believe we need to strike a balance, to be ourselves but to also strive to be the best version of ourselves possible. This is a concept that works well when applied to writing as well as other forms of art, entertainment, and expression. When applied to writing, I think of “being yourself” as being true to your core values and your unique artistic vision. Consider authors who set out to chase trends. It’s easy to fall into the trappings of the marketplace. Vampires were popular, then zombies became a big hit. Writers, agents, and publishers leaped onto the bandwagon and soon the market was flooded with these stories, and some of them lacked that extra special something that makes good stories so good — and I suspect the missing ingredient was the authors’ honest connection with the work. Inauthentic work feels forced, contrived, and trite. It reads more like an assignment than an honest expression. When all you care about is winning, your work can feel aloof and fabricated. When you refuse to put a little of your own heart and soul into your work, it can feel lifeless. Compare that to an author like J.K. Rowling, who wrote a fantasy children’s novel — a tome really — despite it being a difficult genre. Consider how, even in the face of rejection after rejection by the publishing industry, she kept pursuing her vision. Her persistence changed the face of the literary landscape for generations to come. Her success is unparalleled. All because she answered a call within, because she chose to be herself. Of course, we can always strike a balance. We can carve out a career while writing from our hearts. Over the years I’ve known plenty of copywriters who write fiction on the weekends, and I’ve encountered more than a few authors of genre fiction who write under a pen name in better-selling genres. They’ve found a way to be themselves while still using their writing to support themselves or supplement their income. Being yourself doesn’t mean there’s no room for improvement — and here’s where I always struggle with the be-yourself advice. 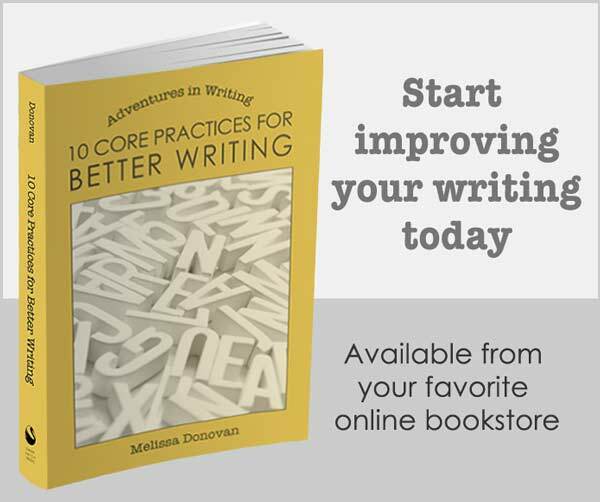 I’ve encountered plenty of writers who feel that study and practice are unnecessary, that writing should be “raw” or “from the gut.” But many elements of good writing must be learned, from the act of typing to using correct grammar, story structure, and even the process of getting a book from concept to publication. There’s this myth floating around that art doesn’t need to be studied, practiced, or improved. Which is ridiculous. Anyone who’s picked up an instrument or a paintbrush knows that your first attempt is just a bunch of noise or color, but in time and with patience, your hundredth or thousandth attempt could be something worth sharing with the world. So I believe in being yourself — in being true to who you are and what you love, but I also believe that everything should be tempered, and that we should strive to improve our craft. We can simultaneously accept who we are and where we are on our writing journey while keeping in mind where we eventually want to land, and all the landmarks we’ll pass along the way. I believe in being true to oneself in the sense that many of us feel called to something: a particular genre, a certain kind of character, a unique style. But I also believe that the best results come from hard work and striving for improvement over time, which means studying and practicing the craft diligently. Being yourself isn’t a formula for success. Plenty of authors chase trends and land on the best-seller list. Other may work at their writing for years and never publish a single word. Each writer needs to do their own self-discovery and reflection to figure out what matters most and how to balance an artistic vision with practical matters..
What do you think? How do you feel about “being yourself” versus working toward becoming the best version of yourself? And how do you apply that to your writing? Do you strive to improve your craft? Share your thoughts by leaving a comment, and keep writing — and keep being yourself. Thanks for sharing your experience, Samantha. Most of us need a day job when we start out. I put a lot of myself in my characters. At times I tried not to but I realized there was no other way. Many writers find themselves in their characters…this isn’t always the case, but it happens–sometimes intentionally and sometimes unintentionally. But lots of writers draw from other sources for characters, too.